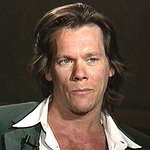 Today Kevin Bacon and Jeff Bridges kicked off the ‘6 Days of Good’ giving challenge on the social networking for social good website SixDegrees.org. ‘Six Days of Good for Hunger’ marks the first in a series of celebrity-championed giving challenges hosted on SixDegrees.org throughout the year to benefit charities working in featured cause areas: hunger, global aid, health, environment, animals and youth. ‘6 Days of Good for Hunger’, held at www.sixdegrees.org September 24-29, is a campaign supported by SixDegrees.org Celebrity Ambassador Jeff Bridges and partner nonprofit Share Our Strength's No Kid Hungry campaign. Jeff Bridges is the national spokesperson for the No Kid Hungry campaign. Challenge participants are invited to create an online fundraiser on SixDegrees.org for their favorite charity fighting to end hunger, including Share Our Strength, and recruit their friends and family to donate via social outreach. Over the course of six days, the fundraiser who raises the largest number of unique donations will win a $6,000 challenge grant from Kevin Bacon for his or her charity. The second place fundraiser will win a $3,000 grant and the third place fundraiser will win a $1,000 grant. Challenge details are available at www.sixdegrees.org/6daysofgood. “I created SixDegrees.org to use the power of social connectivity for good, so I’m thrilled to kick off ‘6 Days of Good for Hunger’ and watch participants become celebrities for the cause of hunger relief. Jeff Bridges and I may have our names on the challenge, but the real stars are the fundraisers and all the people who donate to and spread the word about amazing charities like Share Our Strength working on the front lines to end hunger,” said Bacon. ‘6 Days of Good for Hunger’ is just the beginning of the SixDegrees.org challenge series. Additional Celebrity Ambassadors such as Kyra Sedgwick, who represents the Natural Resources Defense Council, will help raise awareness for their featured cause and partner nonprofit and stand with Kevin Bacon to ask their social networks to make a difference in this small world in a future challenge. Stay tuned to www.SixDegrees.org/6daysofgood for more exciting announcements on the ‘6 Days of Good’ challenge series.